In this detailed Resource page, we feature an abundance of Eclipse IDE Tutorials! Eclipse software development kit (SDK) is free and open-source software, released under the terms of the Eclipse Public License, although it is incompatible with the GNU General Public License. It was one of the first IDEs to run under GNU Classpath and it runs without problems under IcedTea. If you wish to build up your Eclipse IDE knowledge first, check out our Eclipse Tutorial for Beginners. In this article we saw various shortcuts which will help us in developing a project using Eclipse IDE. We also saw various nice features which can be used to make development easier. In this article we saw how Eclipse provide an excellent interface for GIT integration. We discussed about the GIT repositories and various options available to create/update repositories. In this article we will see the various reasons Eclipse can die unexpectedly and we will also examine the solutions for that. For this article we will make use of Eclipse Luna 4.4.2 and Windows OS. In this article we will see the various issues which a developer faces when using Eclipse IDE. In particular we will focus on issues when the Eclipse is not starting and will try to troubleshoot the problem. In this article we will see how to set the environment variables in Eclipse. For this example we will make use of Eclipse Luna 4.4.2. In this article we will see how to check the version of Eclipse you are using. We will use Eclipse Luna for this example. In this tutorial we saw how we can make use of the in-build features of Eclipse to create a web application. This is a simple example of the features which Eclipse provides. In this article we will see how we can update Eclipse. 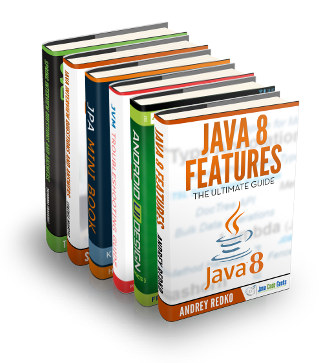 Eclipse is the most popular Integrated Development Environment (IDE) used by Java developers. In this example, we will learn how to use Eclipse Rich Client Platform (RCP) to develop stand alone applications written in Java and built on top of Eclipse platform technologies. In this article we will study about how to do remote debugging in Eclipse. For this example I am using Eclipse Luna 4.4.2. In this article we saw what is an Eclipse plugin and how useful it can be. We also saw how we can install/update/uninstall a plugin. This is an article on how to install Yocto Plugin on Eclipse IDE. Once the configuration is done Eclipse IDE will be ready for further application development for Yocto platform. In this example we will build a simple Java EE web project, also known as a “hello world” Java EE web application. We will be using Eclipse with Wildfly and JBoss Tools. In this article we saw how to install the XPath Plugin in Eclipse. We also discussed what XML is and how we can easily create and edit a XML file in Eclipse. In this article we saw how to install an HTML Editor Plugin in Eclipse. We also discussed what HTML is and how we can easily create and edit an HTML file in Eclipse. In this example we learned about the implementation of the Zest plugin in Eclipse IDE. I hope this simple reference tutorial was helpful. In this article we saw how we can install, configure and run checkstyle in our project. Checkstyle brings a lot of benefits in the code quality and helps organistions to define standards and coding practices. In this example, we will see how to model a system using Unified Modeling Language (UML) with the help of Eclipse UML Plugins. This example was tested with Eclipse Version: Mars.1 Release (4.5.1). In this example, we will see how to install and use Eclipse Marketplace Client Plugin from within Eclipse IDE. In this tutorial we will learn about the Eclipse WindowBuilder which is a powerful and easy to use bi-directional Java GUI designer. In this example we will show you how to develop Java GUI Application using Eclipse WindowBuilder plug-in. In this article we will learn about Eclipse Themes. We will learn how to install the Eclipse Color Theme Plugin and how to use it. We will also learn how to import and export the preferences. In this article we will study about Eclipse YAML Editor. For this example we will use Eclipse Luna 4.4.2. and YEdit plugin (1.0.20) which is a YAML file editor plugin.